Beginners generally need a lot of help in trading. This help will come from an assortment of tools and software which we shall call the best forex trading software for beginners. What are these software and what can they do for traders in the market? Here is the list of trading software that beginners can deploy to make their trading venture worthwhile. There are several charting software out there. Even the favourite trading platforms that are used by retail traders contain charts. However, there is a need to go the extra mile and get hold of standalone charting packages that enable a trader do a lot in terms of chart analysis. One of such charting software which is free to use is TradingView. TradingView does have a premium package, but these are not necessary for a beginner to use. 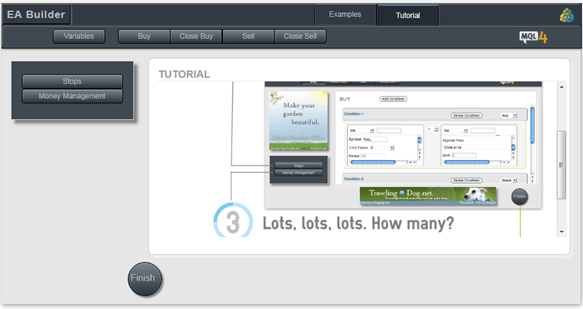 Beginners can simply go to the trading view website, and select the assets that they want to view on the charts. TradingView arranges charts according to asset classes and has a wide array of tools which can be applied to the charts. Another benefit that comes from using TradingView is the delivery of news updates in the bottom right corner of the page, allowing users to get some information on the latest news regarding their chosen assets. Virtual Private Servers (VPS) with virtualization technology have become an indispensable tool for traders who use forex robots to trade. The use of forex VPS handles extrinsic issues that affect trade performances. Issues such as network failures, trading server downtimes, slow platforms, slow internet speeds and latency in trading, can all be taken care of by the use of sound VPS systems. Some brokers have incorporated the VPS into their trade offerings, allowing them to be used for free when traders are able to generate a certain level of trade volume on live accounts. There are also third-party providers that allow traders subscribe to various categories of VPS services for a fee. Whatever pathway a trader decides to choose, a VPS is an indispensable tool and beginners need to incorporate this tool into their trading as soon as they can. Social trading and copy trading are passive investment methods that have been designed with the beginner forex trader at heart. These tools give beginners the opportunity to copy trades of other successful traders on the platform (manually or automatically), and hence replicate the same trading results of these traders on your account. Copy trade software may arguably be the most treasured beginner trader software yet developed, as they significantly reduce the learning curve for the trader and get the beginner up and running as if they had been trading for years. It takes a little of skill to choose the right trader to follow. But once a good choice has been made, the copy trading software handles the rest. Trading Central is a source for user-friendly technical analysis and trade calls. Trading Central is run by licensed independent investment advisors, and the team provides robust coverage of more than 75,000 assets across several markets as well as a patented chart pattern recognition tool. I say to any beginner in the forex market: if you want to learn and be a master at forex a lot faster, Trading Central is the school to be. You will learn from investment analysts who actually trade. So you will be feeding from those who walk the walk and talk the talk. Trading Central has an evaluation period that enables you see what they have to offer you in the market. Following the trial, you can subscribe to any one of their products or services. It will be money well spent. Autochartist is a chart pattern recognition tool which comes as a standalone product, and also comes as an add-on to the MT4/MT5 from compatible brokers. This product has been fine-tuned over the years and it has gotten better at what it does. In addition to chart pattern recognition, it also features a volatility analysis tool as well as a tool to delineate support and resistance areas. You also get a free trial period, after which you can either subscribe to the standalone version, or maintain a funded live account with a partner broker to get the add-on at no cost. If you love the MT4 and MT5 software and you cannot do without these trading platforms, then you need to love the MQL4 and MQL5 Community Marketplaces. These marketplaces are where you have a collection of anything that has to do with the MetaTrader trading platform. Is it indicators, scripts or forex robots you want, or perhaps you just want to look up some literature on how the two platforms work? 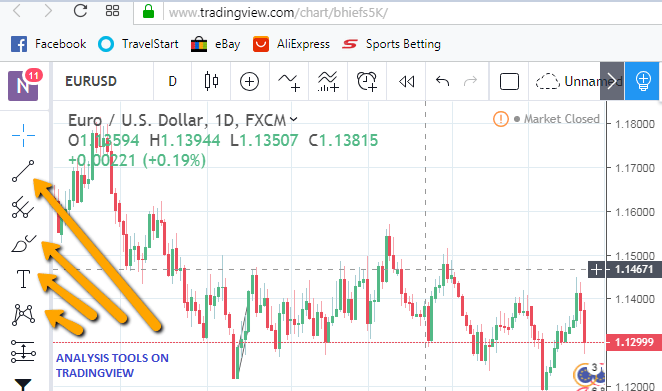 You can go to the terminal window of the MT4 or MT5 platforms, click the tabs circled below, and you will be taken to the appropriate sections of the MT4 or MT5 Community websites. It is also possible to pay for any software you want to buy from your trading account balance. A simple click of a few buttons will do the trick, allowing you to get access to any commercially available products in the marketplaces. The realm of programming of forex robots has gradually been demystified, allowing individuals with no programming knowledge to code robots for themselves. There are many of these tools around. A Google search using the search phrase “EA Creator software” will present you with several tools that enable the creation of your own forex robot, using your own parameters, without the need to know complex programming languages. Overall, all the tools above are impressive and offer traders all they need to begin profiting in the market. The tools are useful and will save traders some of their valuable time, all while helping them to gain financially. However, the ideal forex tool for any trader will come down to personal preference. While some may prefer a desktop download application, others would rather use a web-based platform. Automated trading is cool, but some advanced traders would rather trade manually. So, whichever application you decide to settle for, you would do well to ensure that it meets your trading needs. Don’t get a trending tool just for the sake of it.